Specially designed for those in grade 5-8, ConnXion combines fun outings and exciting in-house themed parties for preteens. We pick up and drop off every preteen from their home for each event. Most events are free to attend except for outings (like swimming, waterslides, or Castle Fun Park) where there is an admission charge. During our in-house events, we have a small concession with food items for sale, so some kids like to bring a little spending money for those items. Preteens are usually picked up between 4:30 and 6:30 and get home by 10:00 PM. 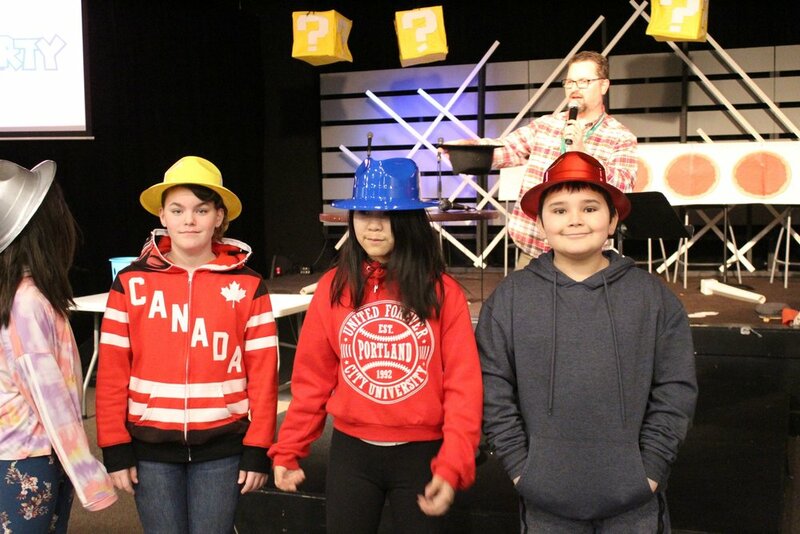 Most ConnXion events are held at Christian Life Assembly in Langley at 21277 – 56 Ave.
To register for ConnXion, call our info line at 604-812-7178 or email lbrownlee@metrokids.ca. © 2019 MetroKids.ca Metro Kids Society is a registered Canadian charity and is affiliated with the Pentecostal Assemblies of Canada.